For most of New York’s early history, Ellis Island had been an obscure little island that barely held itself above high tide. Today, the small island stands alongside Plymouth Rock in our nation’s founding mythology as the place where many of our ancestors first touched American soil. Ellis Island’s heyday—from 1892 to 1924—coincided with the greatest mass migration of individuals the world has ever seen, with some twelve million immigrants inspected at its gates. 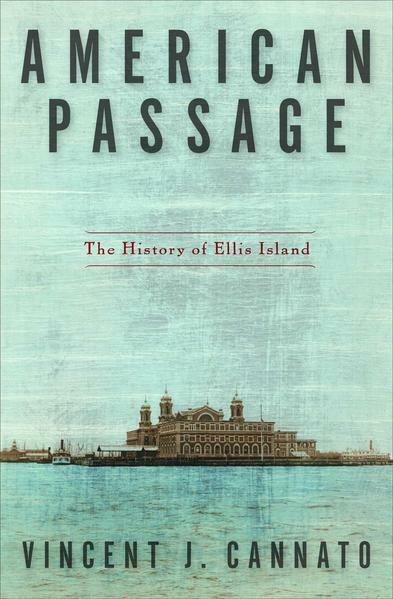 In American Passage, Vincent J. Cannato masterfully illuminates the story of Ellis Island from the days when it hosted pirate hangings witnessed by thousands of New Yorkers in the nineteenth century, to the turn of the twentieth century when massive migrations sparked fierce debate and hopeful new immigrants often encountered corruption, harsh conditions, and political scheming. In this sweeping, often heart-wrenching epic, Cannato reveals that the history of Ellis Island is ultimately the story of what it means to be an American. About the speaker: Vincent J. Cannato is associate professor of history at the University of Massachusetts, Boston. He received his BA with honors in Political Science from Williams College and his PhD in History from Columbia University. At UMASS-Boston, Prof. Cannato teaches courses on New York City history, Boston history, immigration history, and twentieth-century American history.